We assisted this Greensboro, NC homeowner with all new furniture, art, rugs, and custom window treatments. 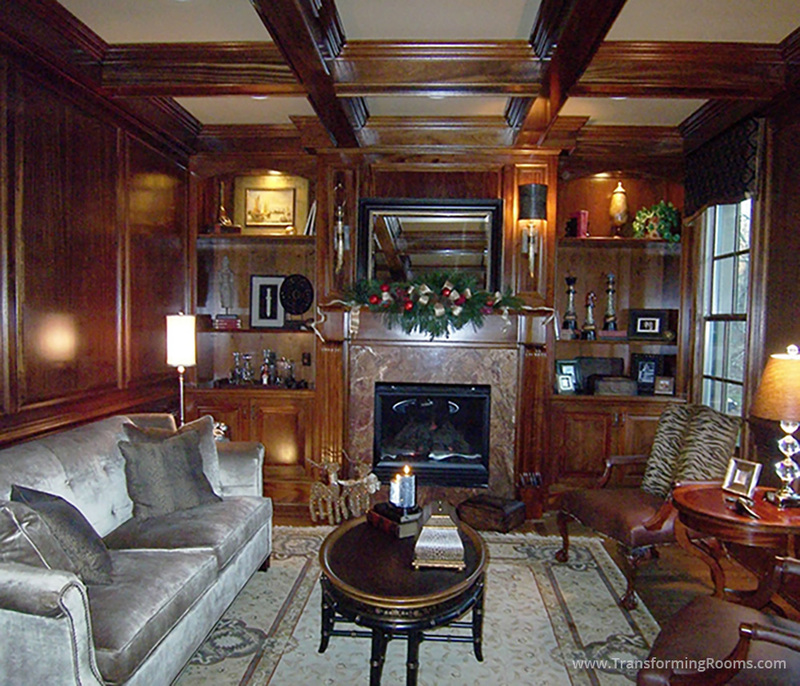 Their request for this room was "a gentleman's cigar lounge". We began with the first brick and shingle for this 10,000 sq foot home, then continued the process with all new home decor. Their review: : "Transforming Rooms made the process very enjoyable!" Be sure to check out ALL FIVE PORTFOLIO SECTIONS!